Wide-angle primes aren’t numerous for the MFT format, and without the Panasonic 14mm f2.5 (28mm equivalent) in our database this category looks a little one sided. And, the Sigma 19mm DN model, which is wide on Sony NEX APS-C models, exacerbates that but as a 38mm it’s a little narrow on MFT cameras like the E-M1. 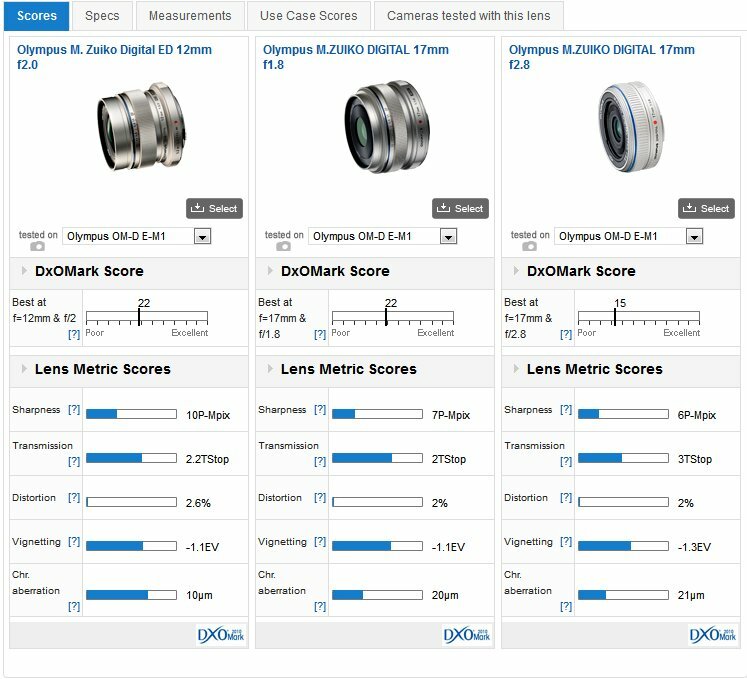 Olympus has a fast 12mm (24mm equivalent) and two 17mm models approximating the field of view of a 35mm. At $769 the 12mm is the best optically and it’s very well made, much like the 17mm f1.8 with its metal outer and milled focus ring. The 12mm is very sharp centrally, even at the full aperture, but the corners never really match that of center till f8.0 where the effects of diffraction even out the performance across the frame. Distortion is noticeable but it’s not unexpected on a 24mm equivalent. The 12mm is also prone to lateral chromatic aberration but it is less intrusive than either the 17mm models being mainly at the edges and corners of the frame. 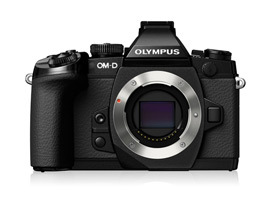 The E-M1 is the first model from Olympus to correct it, when outputting JPEGs, but it may still be visible in RAW files depending on the software used. Both the 17mm models have lower peak sharpness than the 12mm, which is a surprise and while the f1.8 version appears to have similar levels of sharpness to the f2.8, the faster model has far better uniformity and better control of vignetting despite the wider aperture. One of the reasons why there aren’t many wide-angle primes in the MFT system must be due to existence of these two lenses. The Panasonic 7-14mm f4 ASPH is a surprisingly advanced optical design, and looks like a scaled down version of Nikon’s AF-S Nikkor 14-24mm f2.8. The field of view isn’t quite as extreme but as the equivalent to a 14-28mm with a constant f4 aperture it’s a very tempting model. Of course, at $1,000 the Panasonic isn’t exactly cheap, and while not quite as wide the Olympus 9-18mm f4-5.6 may be a better choice for use with filters or when portability is an issue However, the 7-14mm isn’t a big or heavy lens by any means. The Panasonic is very sharp at the wider end, even at full aperture, but corner sharpness wanes when zoomed to 14mm. However, it’s still very sharp centrally. At 12mm it’s not that far behind the Olympus 12mm f2.0 in the center but lacks that model’s uniformity. The Olympus 9-18mm f4-5.6 is certainly more accessibly priced, and is a good performer particularly at the wider end and has less vignetting. 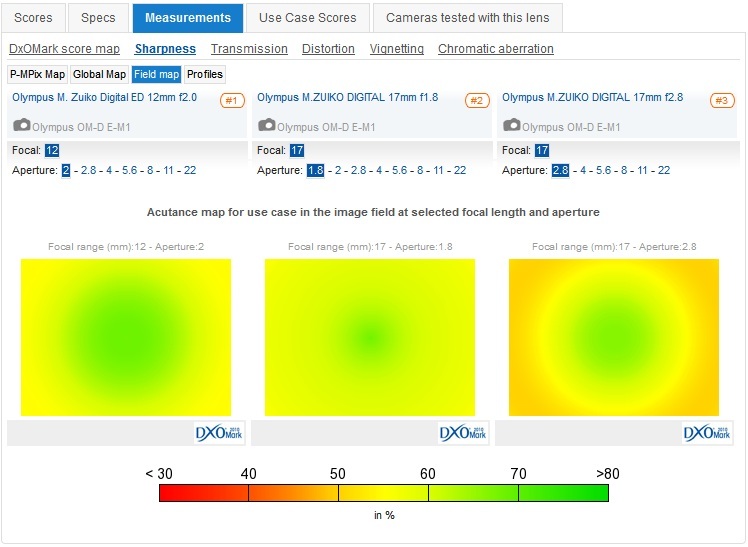 Both zooms are prone to quite high levels of CA but even that may not be a big deal on the E-M1. 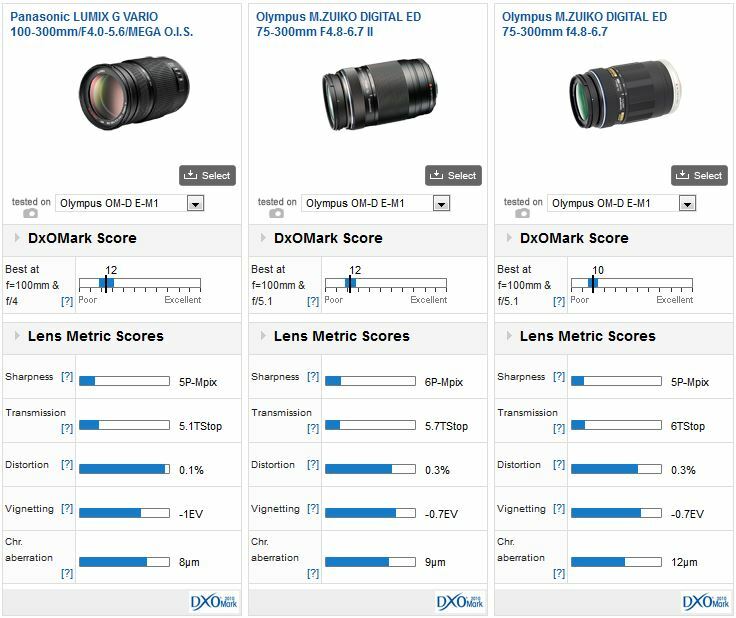 Both Olympus and Panasonic offer numerous models in this category, and their similarity can be quite confusing. Olympus even makes two versions of the ED 40-150mm f4.0-5.6; both are the same price but the newer version may be recognized by the letter R in its name and by a more modern appearance. The two have the same optical construction the older model tested here is one of the better performers of the group. 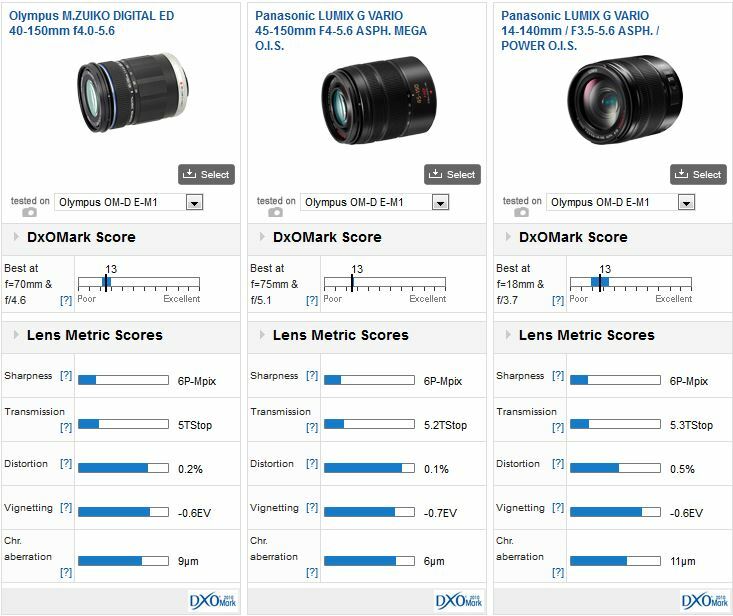 The Panasonic version shares the same rating for optical quality but it has more consistent sharpness across the range of focal lengths and aperture settings. It even boasts stabilization, which is attractive to Lumix G camera users, but the more modest price and competitive performance may sway Olympus fans. The 14-140/150mm models look promising for their huge flexibility, the equivalent of a 28-280/300mm in a small and lightweight package. Of those Panasonic has recently updated and upgraded the optical construction of the 14-140mm, adding the improved Power OIS stabilization as well, but at $920 it’s the most expensive on offer. Still it has similar IQ to the other 40/45-150mm models, and if just one lens is all that’s needed this model is the one to choose. Olympus M.ZUIKO DIGITAL ED 40-150mm f4.0-5.6 vs Panasonic LUMIX G VARIO 45-150mm F4-5.6 ASPH. MEGA O.I.S. vs Panasonic LUMIX G VARIO 14-140mm / F3.5-5.6 ASPH. / POWER O.I.S. With similar field angles to a full-frame 600mm at their longest these models could never be replicated in size for APS-C cameras such the Sony NEX or Samsung NX. The Panasonic is the heaviest at 520g and that model includes built-in stabilization. Neither of the Olympus models needs it on the firm’s bodies but it’s worth bearing in mind if you’re reading this as a Panasonic Lumix owner. 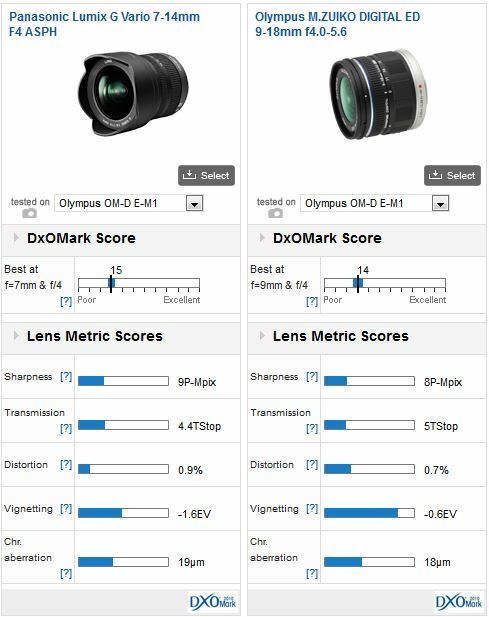 The original 75-300mm looked overpriced when Panasonic launched their 100-300mm and so Olympus responded quickly with the mark II version, undercutting the price of their rival but also outdoing both optically. It has the highest peak sharpness of the three and the best uniformity but the Panasonic is brighter by a half-stop throughout the zoom range when measured. Other than that all three have low lateral chromatic aberration, negligible distortion and, as you might expect, low vignetting at maximum aperture.